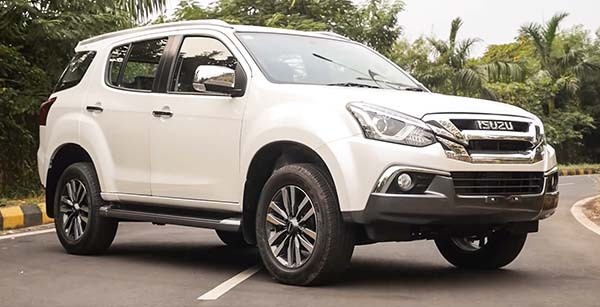 Well most of us are familiar with the Isuzu MU-X SUV. The company first launched the SUV in India as a replacement for the MU-7 in May past year. The company has just launched a facelift of the MU-X for the Indian market market which brings on a bit more equipment upfront. Let’s take a closer look to see what’s new. Apart from the equipment, the MU-X facelift also adds a fresh look to the range. While the Front Bumper and Grille are mildly restyled, the wider LED Daytime Running Lamps are repositioned to the Headlamp Cluster. At the back, the contrast colored bumper now occupies a slightly larger area. Additionally there are new loop taillights, a dual tone spoiler and a shark fin antenna as well. 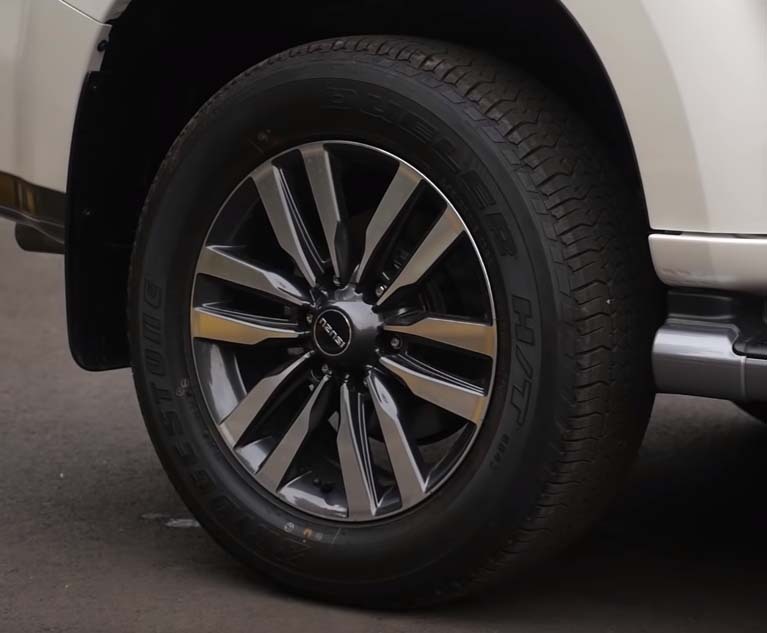 Completing the visual changes to the exterior are larger alloy wheels which have increased by an inch and are now 18-inches tall. Entry into the cabin is a Climb, given the ladder frame SUVs big proportions. 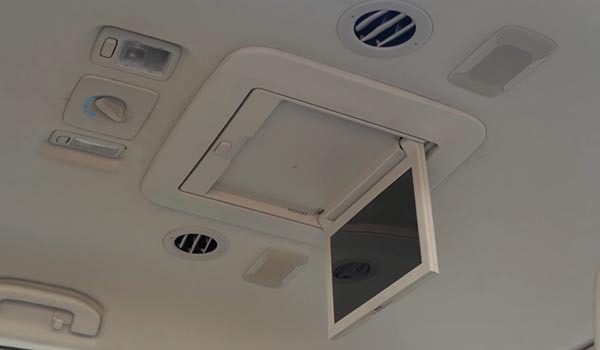 However once you’re inside, you notice the cabin is well laid out with quite a few storage areas. 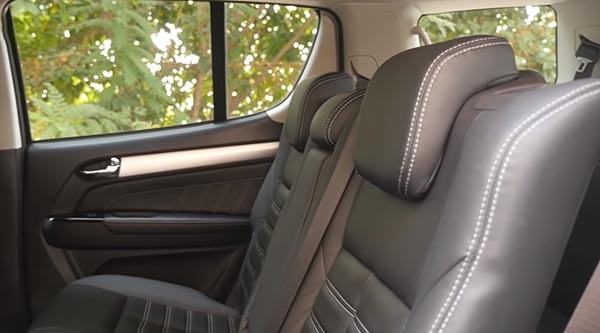 The dashboard, door panels and Armrest have plenty of soft touch surfaces which feel premium. 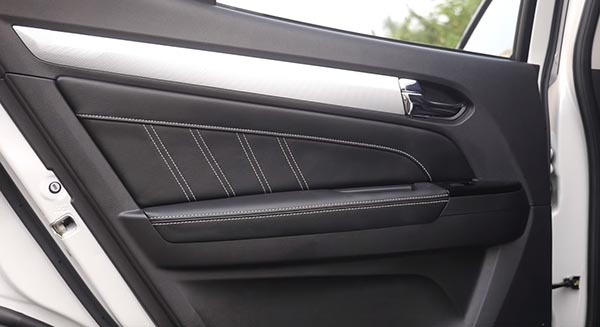 The silver surrounds on the Center Console is also a very nice touch, however the company continued to go with the 7-inch Touchscreen instead of the 8-inch available in the global market. Oddly, the indian market has been denied some equipment that is offered in the international market. 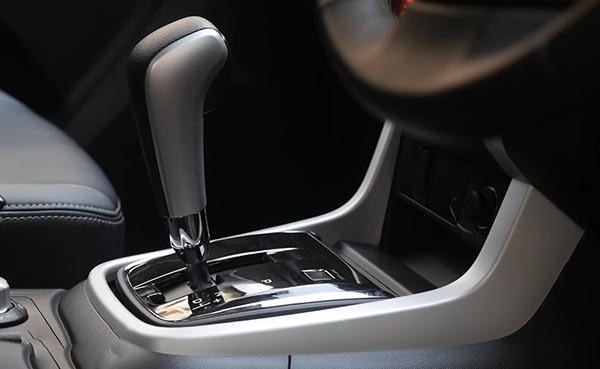 While the international gets a Dual-tone interior and a larger 8-inch touchscreen, the Indian version gets a touchscreen that is not only smaller but has a out-dated interface that lacks a smartphone integration. It also gets the monotone grey interior. At the back there is a good amount of headroom as well as legroom. 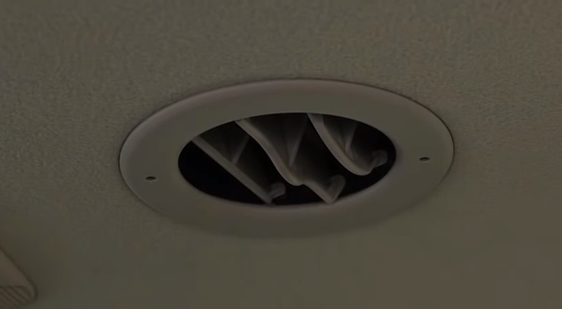 There are AC vents on the top and cupholders in the center armrest. 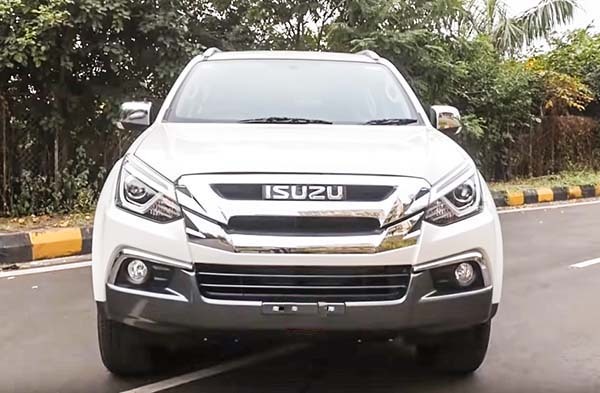 The facelift sees the introduction of a USB port for the rear passengers, but overall when you look at the cabin you realize that Isuzu has focused more on durability rather than desirability. 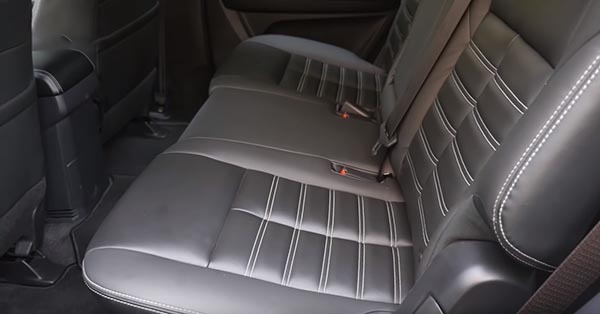 The seats finished in quilted leather offer a touch of premium-ness and feel quite comfortable. 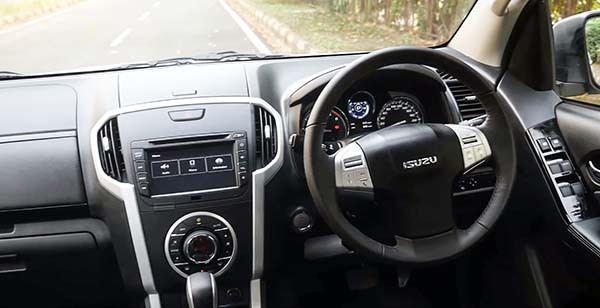 However Isuzu has eliminated the roof-mounted 10-inch infotainment screen that was offered in the earlier model. 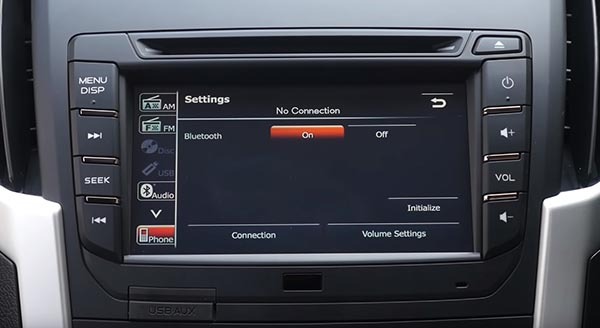 It was a unique feature in the segment that set the MU-X apart. 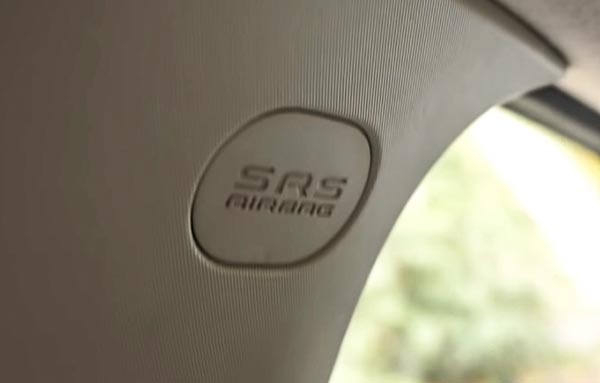 Safety levels have now been improved though, with the MU-X now getting 6-Airbags as standard instead of two. 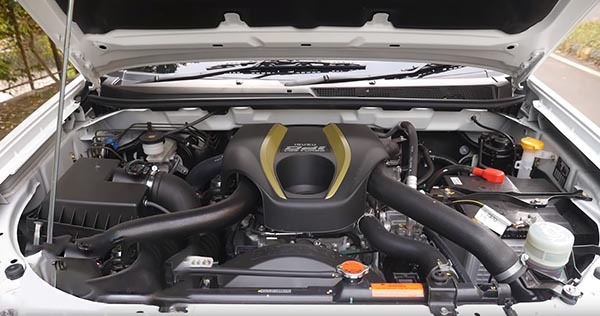 There are no changes under the hood as you still get the same 3-Liter Turbo Diesel engine putting out 177 HP and 390 Nm of peak torque paired with a 5-Speed automatic gearbox. Now let’s get to the important part, its price. The MU-X is priced at Rs 26,34,000 (ex-showroom, Delhi) for the 4×2 variant and Rs 28,31,000 for the 4×4. 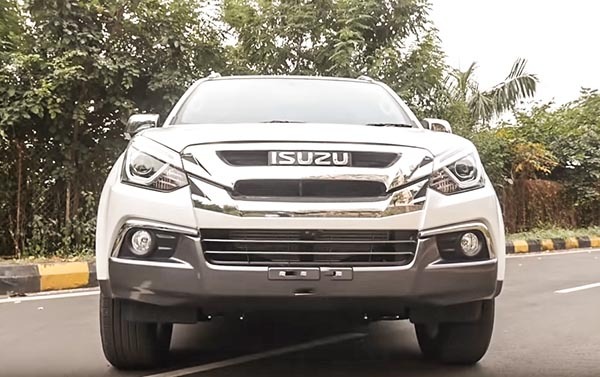 Isuzu has taken quite some time in launching the MU-X facelift for the Indian market. The model was already on sale in the global markets last year, nevertheless now that it’s here what do you think of the MU-X facelift? Does it make the Isuzu more desirable and would you consider it over the more established rivals. Let us know in the comments below.